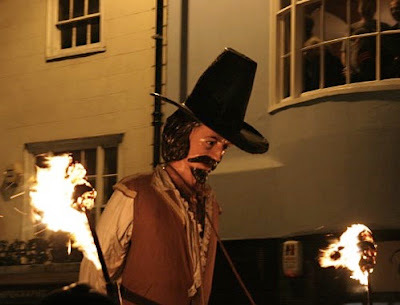 Today is Guy Fawkes Day in England. 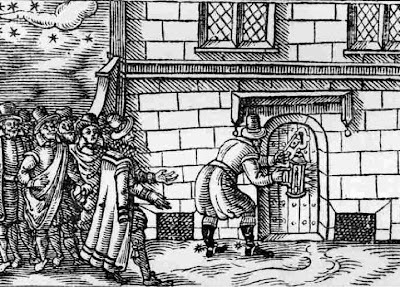 This day commemorates the Gunpowder Plot of 1605 when Catholics planned to kill King James I by blowing up 36 barrels gunpowder hidden under the Hose of Lords. The conspiracy was discovered and Guy Fawkes was found guarding the gunpowder in the basement. It is traditionally celebrated by bonfires, where Fawkes is burned in effigy and firework displays. 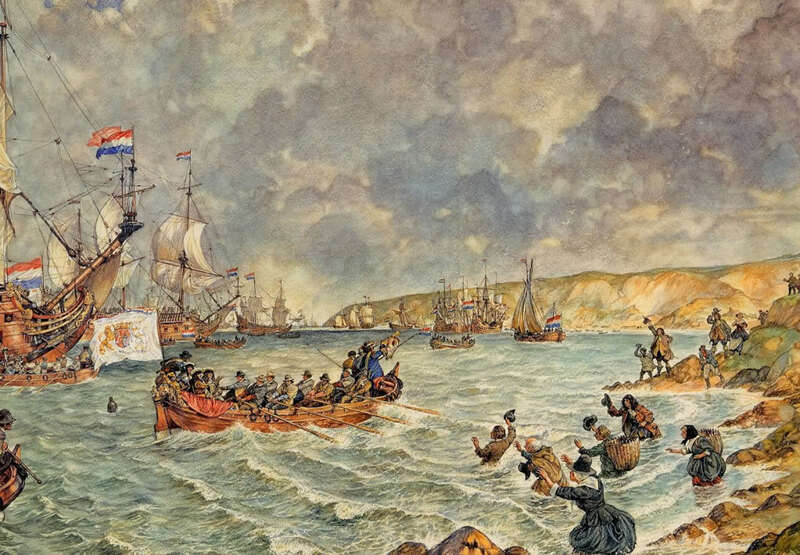 November 5, 1688 (83 years to the day after the Gunpowder Plot) marked another bad day for Catholics in England as this is also the day that William of Orange landed in Brixham marking the beginning of the Glorious Revolution. Growing up around the Boston area and living here now one can not help but be interested in history. Colonial Boston celebrated a "Popes Day" which was based on "Guy Fawkes day". A blog that I read often on Boston area history has been running a few posts on just this day. If you would like to check it out it is http://boston1775.blogspot.com/. Have enjoyed your blog Nate. Thanks, DAG. I was not aware of Pope's Day. I'll have to check it out. As a lifelong lover of history, I envy your childhood in Boston.